The BBC Radio 4 programme “From Our Own Correspondent” features reports from BBC reporters around the World. Last week, Bolivia was featured. The article shows the other side to the immigration problems that are often discussed in Europe. It talks about the children, left behind in Bolivia bei their parents while they go to work in Europe. 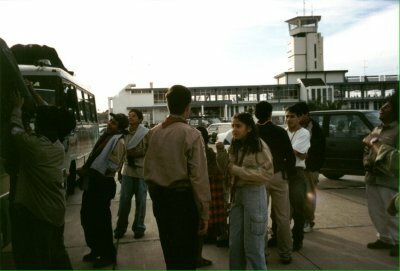 The children stay with relatives, and talk to their parents on the telephone using the public phone-booths, common to Bolivian towns. The parents send home money for them, but this often gets intercepted by other adults. The full story and can be read and heard on the BBC News website. You are currently browsing the Amigos de Sucre blog archives for October, 2007.